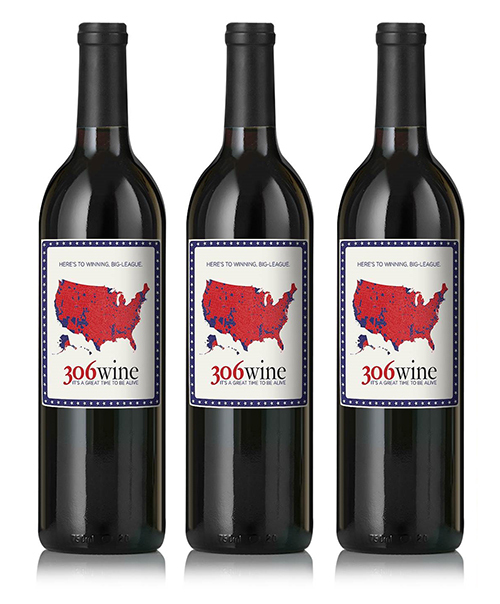 Presenting 306 Wine-a reminder of the number of electoral votes that President Donald Trump won on November 8th, 2016. Your trophy for your victory in the great election of 2016 has arrived. When dawn broke, our flag was still there and we turned our map red. Hard fought? Yes. Time to celebrate? Oh yeah. Buy some to drink and keep one for the mantel. What State is this shipping to? I have read and agree to the Terms and Conditions of sale. Copyright © 2019 The Daily Caller Wine. All rights reserved.